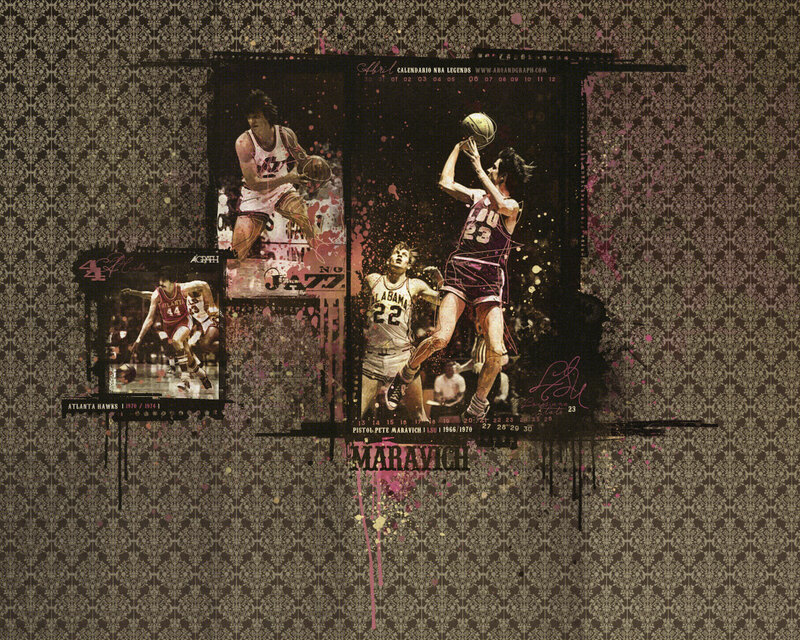 Finally wallpaper i can really write something about lol 😀 this is the first wallpaper of NBA legend, Pete Maravich, i’m adding to site and this wallpaper is calendar for April 2009 so if you need classy wallpaper for a month this might be perfect choice this wallpaper was made by http://hopedesigns.deviantart.com, but wait, that’s not all… he also made a Pete Maravich screensaver that can be downloaded from here (download link removed since it was inactive) big thanks to Daniel for sending these two to me !!! This entry was posted in Atlanta Hawks Wallpapers, NBA Wallpapers, Pete Maravich Wallpapers, Utah Jazz Wallpapers and tagged 1280x1024. Bookmark the permalink.